Although learning a foreign language is not a feature of the KS1 National Curriculum, the pupils at Leatherhead Trinity School learn French for 30 minutes a week. This early start prepares them for KS2 when they have one hour a week. Songs, games, rhymes and raps are used to help support memorisation and make learning fun, while traditional songs and stories help develop their understanding of life in French speaking countries. They are encouraged to draw on their knowledge of their own language to understand the similarities and the differences between it and French. This helps learners to become independent and build up the necessary skills to form phrases of their own. We have developed links with 2 French schools this year through eTwinning projects. This provides our children with the opportunity to put the French they learn in school to practical use as they share information about their school, town and traditions through cards, letters, emails and video. Please ask your child to share with you what he or she has learnt in French. 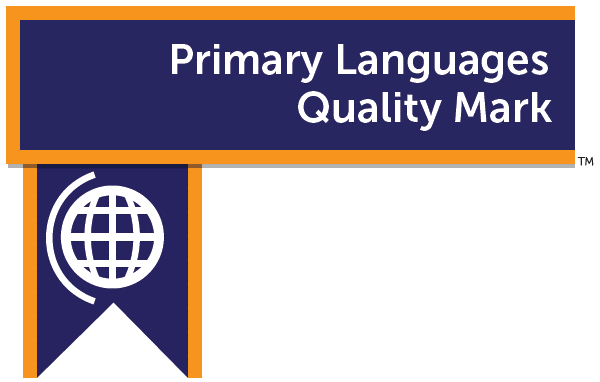 We have also awarded with the Primary Language Quality Mark at Gold Level. This is mainly due to our French curriculum, which had to undergo rigorous inspection. It met all the criteria with flying colours. However, the quality mark recognised everything we do in terms of language learning in our school – our curriculum, language of the half term, our lunchtime Spanish Club and all our international work. Our language of the half term is Russian. This language is spoken by two pupils in our school. Please ask your children to share some facts about Russia and some words with you. The French curriculum reflects learning across the school and reflects the values of Leatherhead Trinity School. Year 4 have been finding out about the French custom of La Chandaleur in early February and also the Christian significance of Mardi Gras (Shrove Tuesday) and the carnival period preceeding Lent. They enjoyed making their own crêpes.